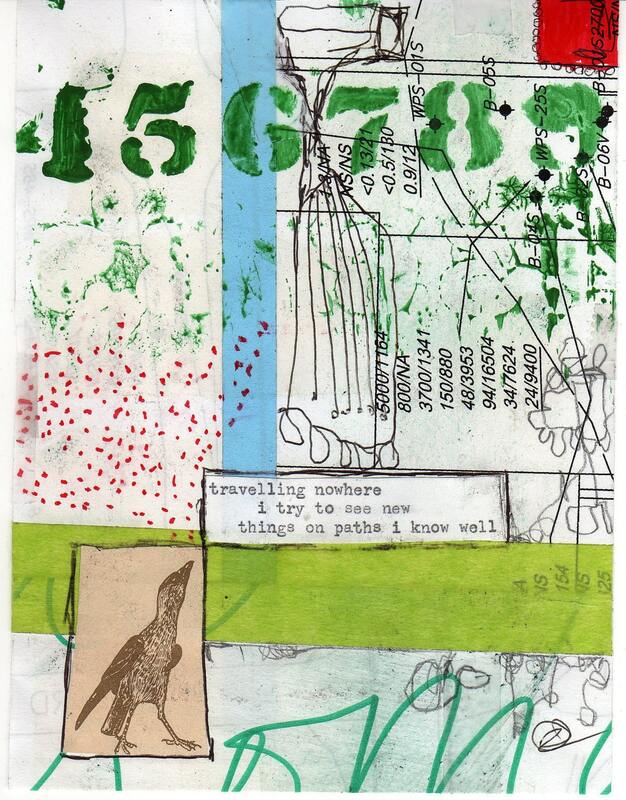 In July 2008, I was still part of a zine collaborative here in Missoula called Slumgullion. Debby Florence was the creator and main organizer of the group. We had just started renting a space at the newly opened ZACC building and Debby wanted to do a 24 hour zine challenge event. I was all about it. But unfortunately the event ended up being on a weekend I was leaving town. So I decided to go the Slumgullion space the weekend before and make my zine, with out having a crowd around. I brought a box full of ephemera and art supplies, and on a little table in the middle of the room, I spent six hours making a 24 page zine. Despite being asked to put the originals into an art show, and sell them. I decided I couldn’t do that because I would not be able to make more color copies of the zine in the future. Now three years later. I have decided that I will stop production of color copies of the zine and sell all of the originals. This is sort of a big deal for me. This is probably my favorite zine that i have ever made. The idea of taking it apart and selling the pieces is a little disturbing, but I also feel that it necessary. It is time to move on. So my plan is to post a page a week on my etsy store. Link to first page posted. Link to color copy of zine. Link to black and white version of zine.